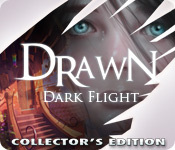 Drawn®: Dark Flight ™ Collector's Edition is rated 4.0 out of 5 by 46. Rated 5 out of 5 by sinenomine_lj from Amazing game, no criticisms Literally the best game I have played on Big Fish. Cannot comprehend why they stopped with Trail of Shadows, as every edition is a must have. Rated 5 out of 5 by ElNirmalSitaldin from The 3 Beacons of Evil-Distinguising Fire The tale hasn't end with Iris escaping the tower... The evil King is not so easily stopped and has this time blinded the citizens of Stonebriar with his shadows and left the town in the dark! Continue your adventure by solving unique puzzles, unravelin mysteries and ofcourse travel through the vividly paintings of the town to save it! You need to light the 3 beacons of fire in the town to get rid of the shadows and defeat the evil King! The sound and visual quality are still as nice and vivid as ever and the fun stays as you travel further into the city. Rated 5 out of 5 by anthony6080 from A good hidden object game! As a game player, I would suggest your kids to play this game as the game wants the player to create paintings and furthermore, cool animation and graphics. Yeah! It is a game for any age of player as you like this type of genre. For me, the musics are great, great animation, and great gameplay graphics. I like this game much! Rated 5 out of 5 by rosekaufmann from WHAT A GEM Continuation of the adventure of Painted Tower. 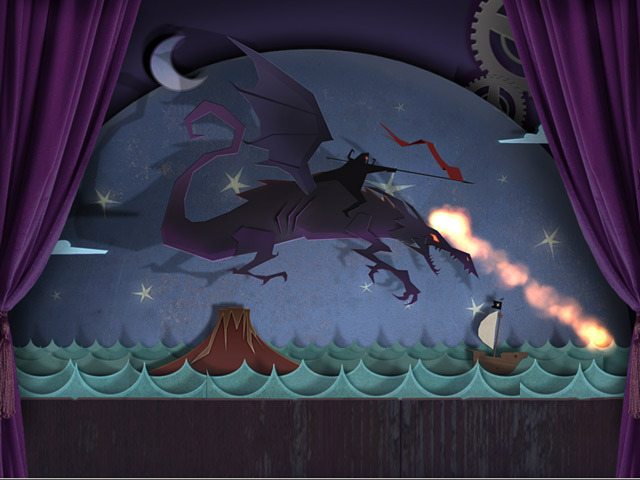 Iris has the ability to make her paintings come to life and the evil king wants to harness those powers for himself. She hid herself in a magical book when the king discovered her location and brought the towers down. Story picks up from there as you find your way among the rubble and seek to light 3 beacons of magical light to erode the darkness and save Iris. The well thought-out story becomes even more complicated when Iris has to light the last beacon herself. Stunning artwork is beautifully rendered by hand. There are hidden objects to find, riddles to solve, puzzles of varying challenges to finish, pictures to enter, drawings to complete, and secrets about Iris and her family to uncover. You will have to return to some of the puzzles before you can solve them. Sometimes you must find something to finish a drawing so that you can use it in the real world (such as a bridge). If you get stuck, the hint system is very helpful in advising how to progress in the game and where and what to do if you become hopelessly lost. Lovely game of above-average length and complexity. Excellent production value. As with the original, this was a fantastic and enchanting game you are sad to see end. Rated 5 out of 5 by angelhand from Superior Game!!! Totally loved this game, as I did the first in the series, The Painted Tower. Art work, voiceover, music, story line, puzzles...all great. It's first person and you enter the fantasy world - which I prefer over the third person move a character about style games. The game strikes a nice balance between giving you actions to execute but not being overly tedious. This game seemed to load a bit faster between scenes than The Painted Tower, which was nice. 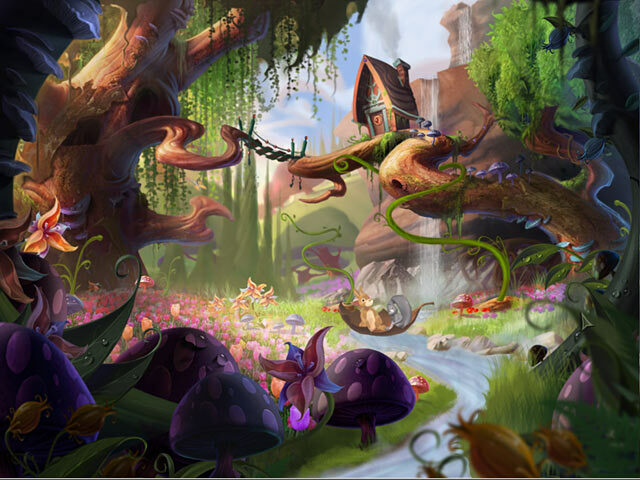 If you love fantasy lit/fairy tales and puzzle-adventure games - this is the game series for you. I'm about to start #3, and wish there were a $3 - #6. If only more games were as good as this. As for the collectors edition the extras are nice...but I probably wouldn't spend the extra $$ in the future. Rated 5 out of 5 by SyoNg from Amazing ! I always love the 2 series before this, but Drawn : Trail of Shadows is just simply AMAZING! The sound, graphic, background music, wow. The Drawn series are my favorite games for all time! I really like the way they put the hidden object game in here, it's not like other games where you should find something in a crumbled place, this one is just smart! And the puzzles also challenging. Love it! Rated 5 out of 5 by RuthlessFatale from Loved it Very easy game, plot is awesome. Wish it was a bit longer i finished the game within 5 hours.Totally worth playing. I am definitely going to buy more PC games from big fish.